Heat loss and condensation through un-insulated door and window reveals can ruin an otherwise warm and comfortable home. 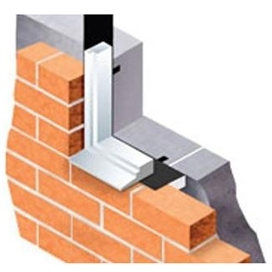 The Beesley & Fildes range of Cavity Closers offers an economical solution to closing the cavity at window and door reveals while also solving cold bridging problems. 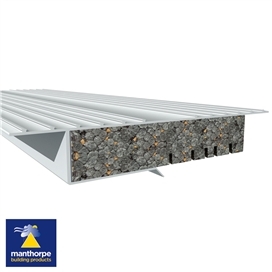 Cavity Closers not only provide a thermal break at the reveal of both door and window openings, they also act as an effective vertical damp proof course (DPC), ensuring compliance with building regulations. 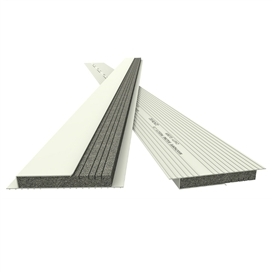 The Beesley & Fildes Cavity Closer also addresses the issue of condensation and promotes an air tight detail. Thermal efficiency can be achieved assuming that all other relevant work has been done in accordance with best practice. They also save time in construction by closing the cavity without the need to return the block work. Our Rigid Frame Former can be set into a wall as a ready-made window mount that still offers all the benefits of a cavity closer. With this bespoke, made- to -measure product builders can do away with the hassle and wastage of constructing temporary wooden surrounds.